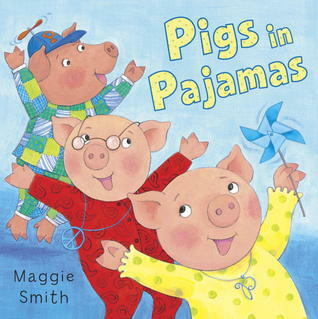 This was a short and entertaining story about Penelope Pig having a slumber party. The pages are bright and colorful, but at the same time they're education. The main theme of the book is the use of the letter "P". The book uses a lot of words with the letter "P" like piano, pie, pizza, prancing and so on. This is fun story to get the little ones to bed.